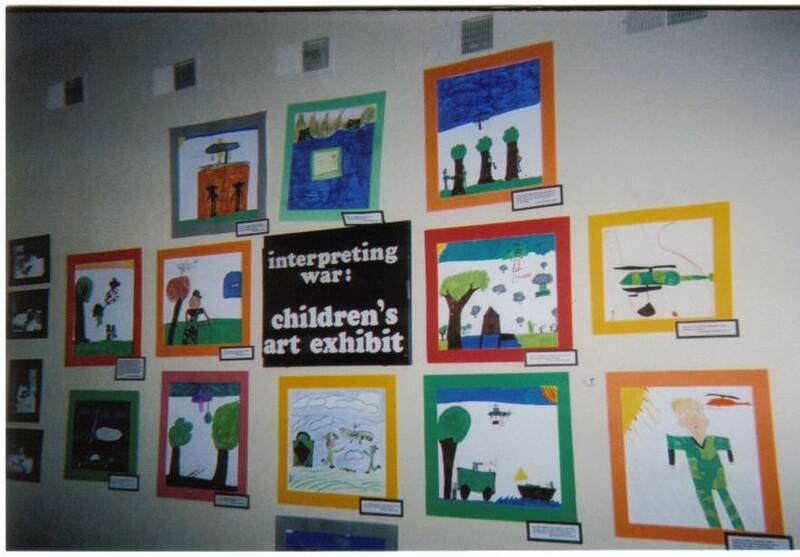 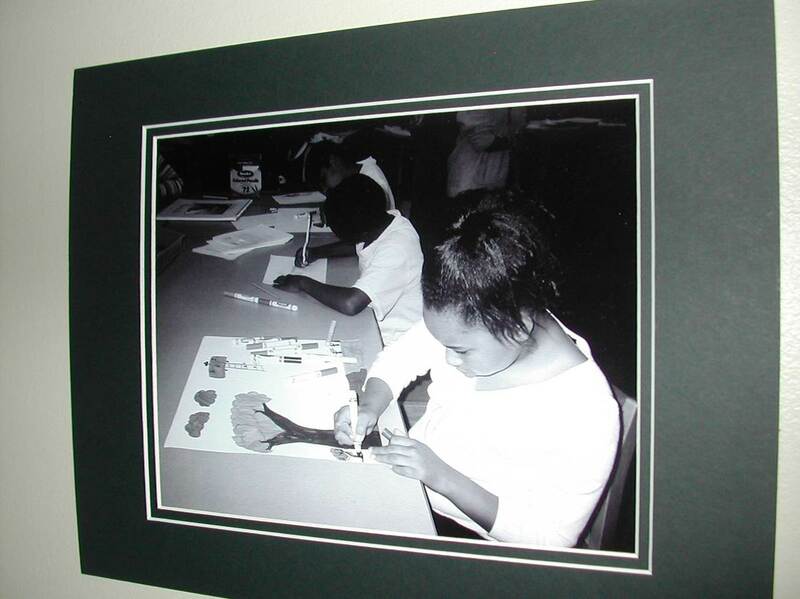 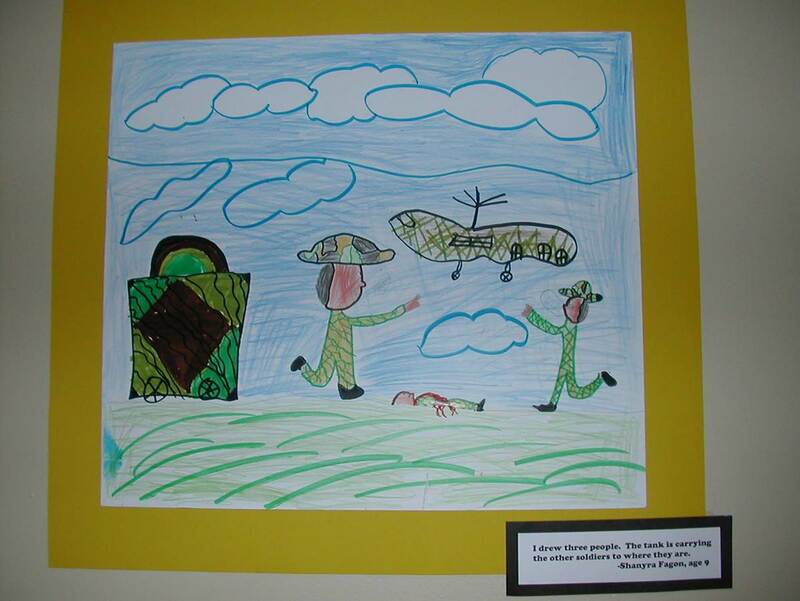 An additional component of the exhibit was the “Interpreting Vietnam through Art” collaboration with the Boys and Girls Club in Raleigh and the National Society for Collegiate Scholars at North Carolina State University (NCSU). 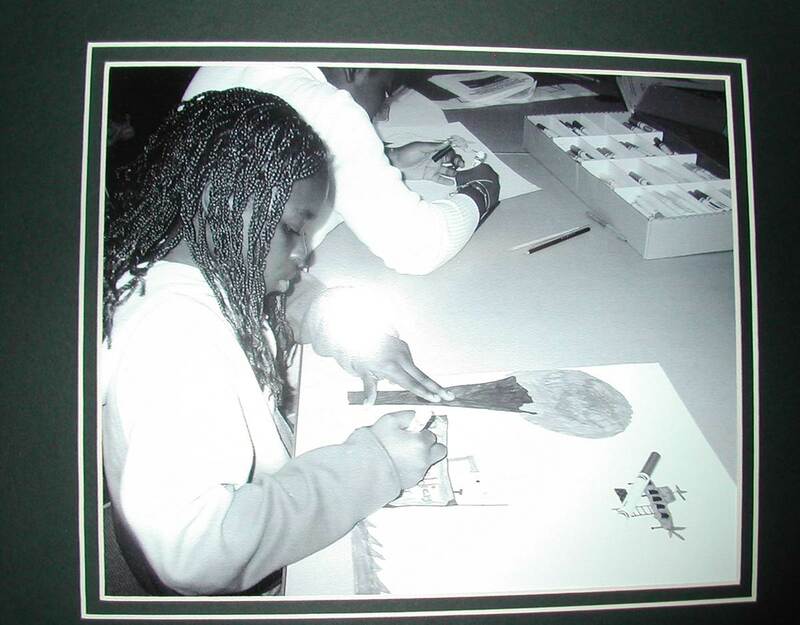 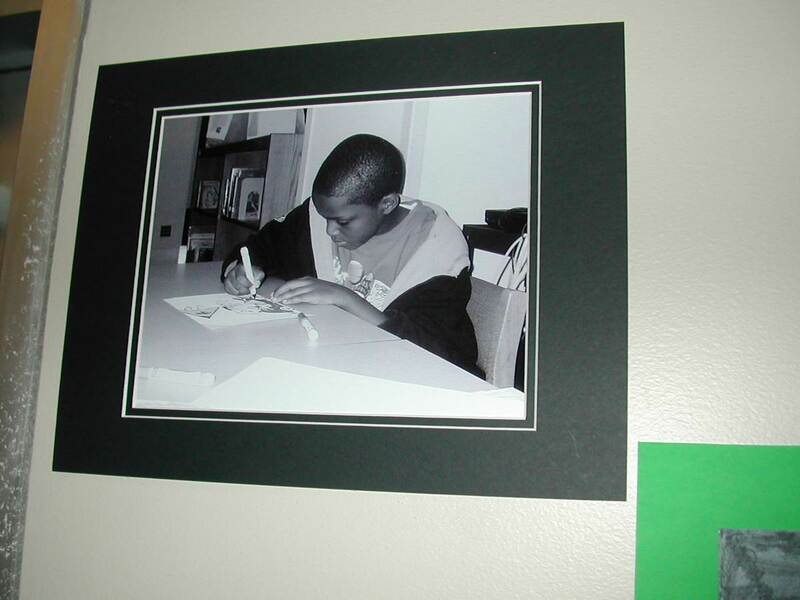 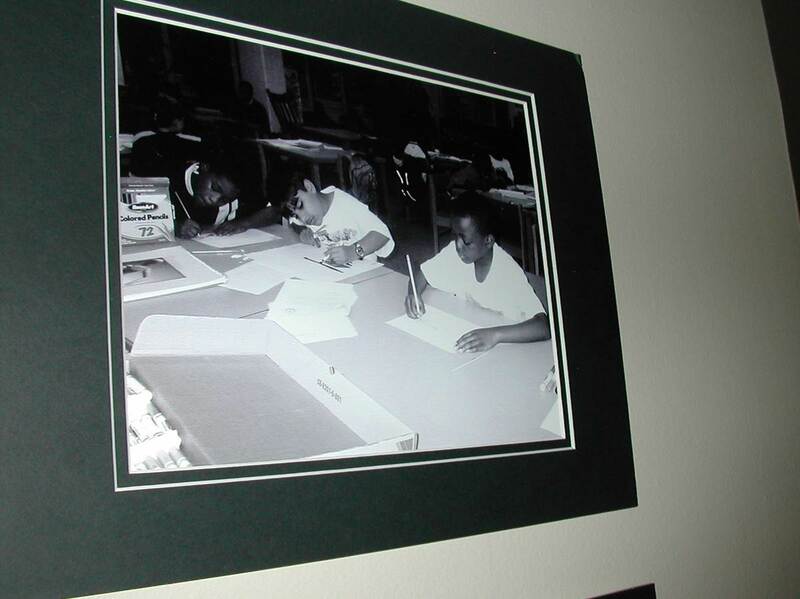 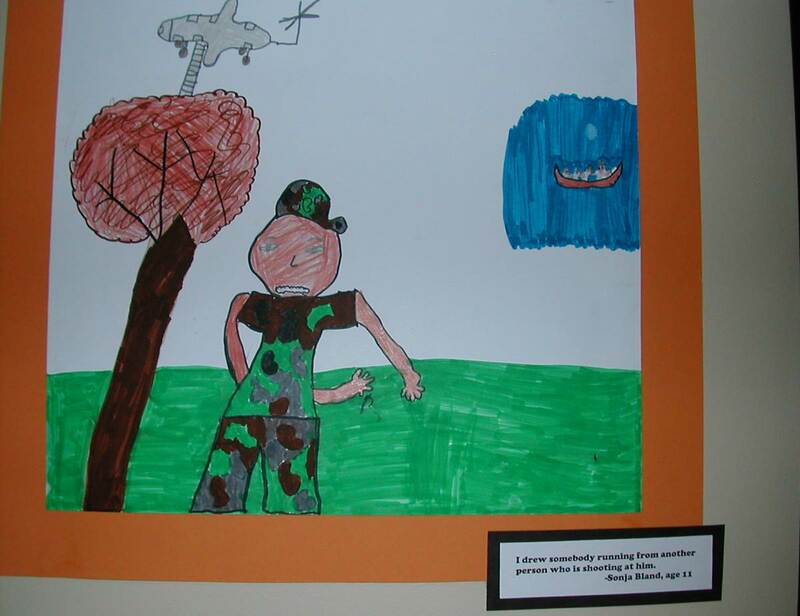 College students, led by Marquitta Raynor, taught mini lessons to the children at the Boys and Girls Club and then asked them to interpret what they knew about war through their art work. 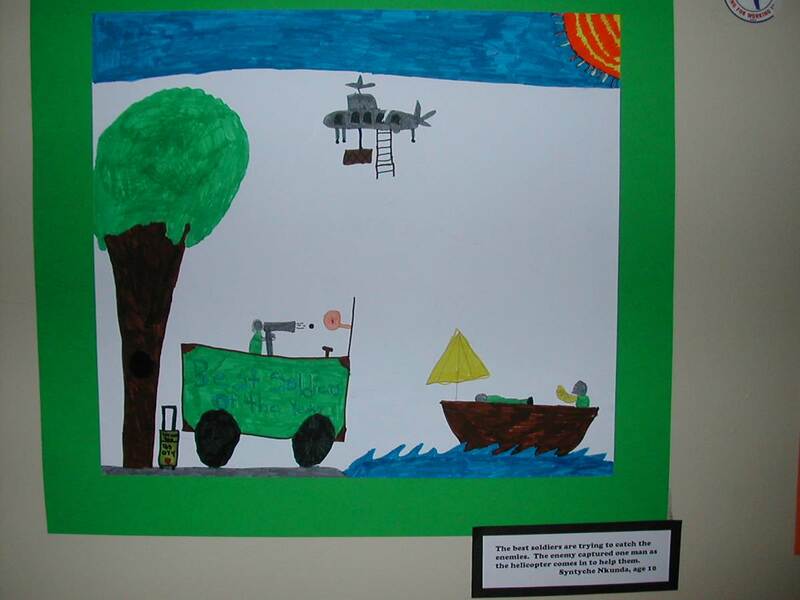 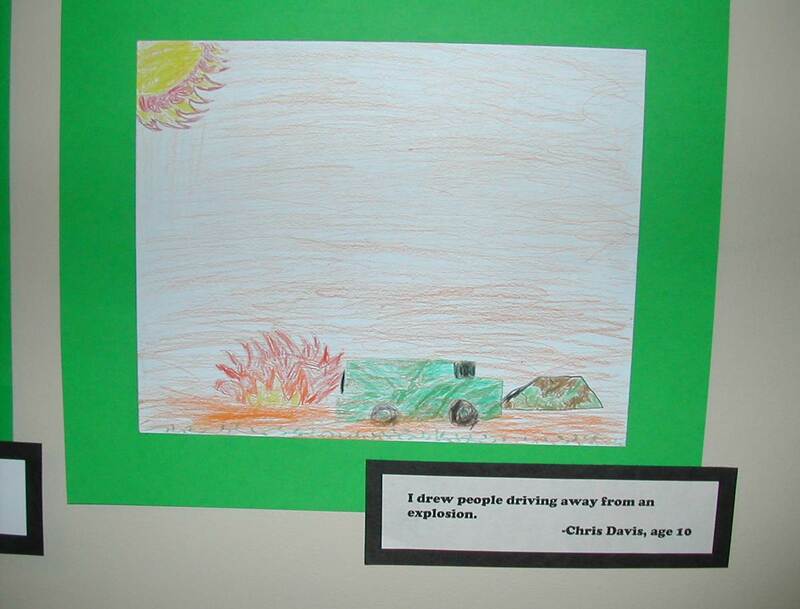 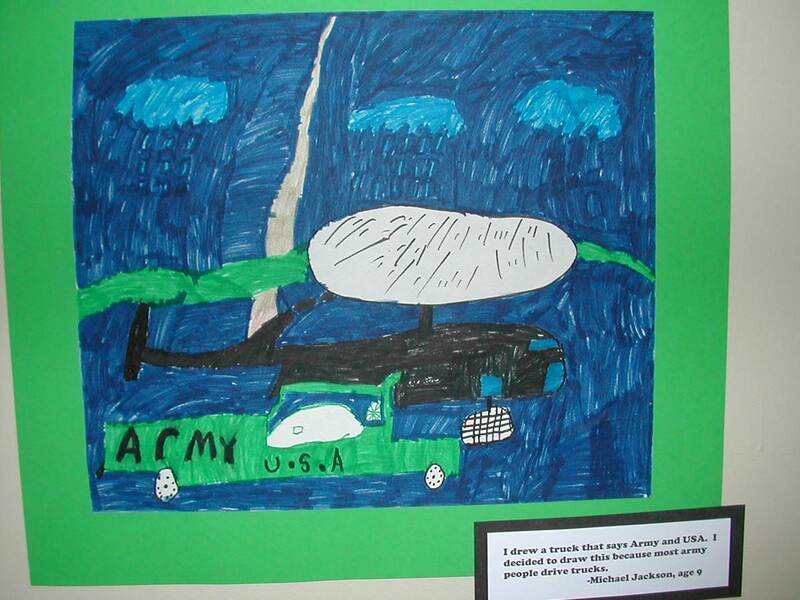 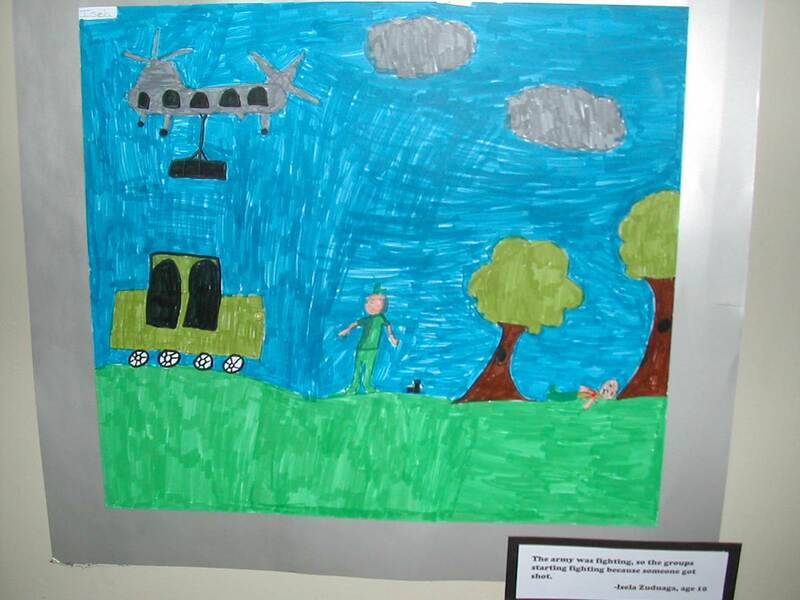 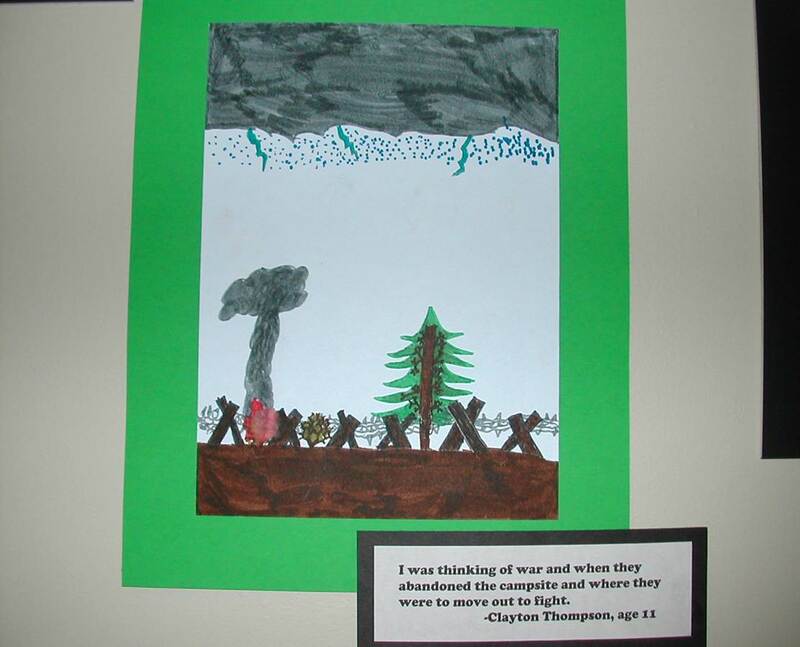 The students were asked to create an image of war based on what they knew or imagined.